As we all know it can be difficult collecting rent. Especially when the guidelines aren't spelled out at the start of the rental agreement. As my business has grown over the years it has come to a point where I needed to implement some strategies to fine tune it and reduce time spent taking people to court and chasing after money owed. Most still pay their rent just before the late fee on the 5th but this reduced my pay or quits that I have to send out and number of people that I have to take to court. 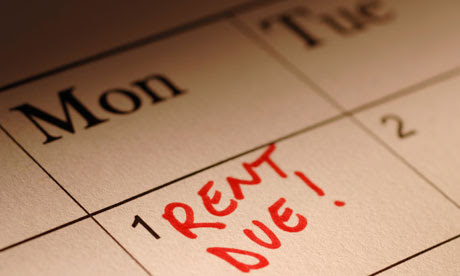 This also clearly spells out that I do not collect rent. I spent massive amounts of time over the years driving around and trying to get in contact with my residents and that has been completely eliminated. The first month I stopped collecting rent I sent out 15 pay or quit notices. It was a big shocker to my residents that were used to me hunting them down to get the rent. But they quickly got on track and realized that I'm not going to continue to do so and only did because I'm a nice guy. Today my pay or quit notices are down to around 2-3 a month so not bad. And most of them are for people that consistently pay late with their late fee every month. Below you will see what I use to clearly convey the message to my residents that paying rent on time is the most important thing that they need to do to maintain a good relationship. This is given at the time of signing the lease and you want to either read it to them or make sure they read it word for word. I have significantly reduced the late payers and number of evictions within my company by using these guidelines. Rent is due at Payment Address in the mailbox on the 1st of every month. You can mail it or put it in the box, NO CASH. We do not accept rent payments in person. It is your responsibility to get the rent in the mail just like every other bill. There is a grace period until the 5th of the month. If you pass the 5th there is a late fee. If you haven’t paid or moved out by the 10th (10 days past due), our attorney will immediately file to EVICT you. We will also SUE all persons on the lease for the total rental amount due for the rest of the lease. An eviction will stay on your credit report for TEN YEARS. If it is petitioned by us it will stay there for TWENTY YEARS. This is BAD. Remember it is not our responsibility to chase you down to collect the rent; it IS however your responsibility to mail or put the rent in the mailbox at the above address. COMMUNICATE - this is the key to a positive relationship. I have read the statements above. Additionally I agree fully with them and agree to abide by them.